Field Services - Gripp Inc.
We offer professional field services by factory trained technicians. All of our technicians are Confined Space Certified and have been trained in specialized instrument deployment techniques/programming, equipment calibrations, and equipment integrations for maximized performance and accuracy. The equipment designs we use are premised on the basis of longevity, unquestioned reliability, and greatly reduced maintenance. All installations include industrial grade corrosion resistant hardware and fasteners for long term reliable deployment. In addition, all of our service vans are fully equipped mobile shops, and we are a fully insured company that uses regularly inspected confined space equipment and calibrated air monitors. We stand behind our calibrations. A Gripp, Inc. calibration certificate means we are always willing to talk to regulatory agencies on your behalf if they have any questions about your calibration. Our calibration methods include secondary flow instrument calibration and time weighted calibration. We will also perform volumetric calibrations in applications that are not conducive to traditional instrument calibration methods. The Gripp, Inc. database tracks when calibrations are due, and reminder notifications are mailed out to assist customers to stay in compliance with permit requirements. We can trouble shoot and repair all manufacturers equipment. Our technicians utilize historical flow data analysis to determine when problems occur and to accurately identify root cause problems. Our goal is to prevent future occurrences and provide more value for your money. We provide Teledyne Isco instrument returns and repair diagnosis descriptions as a no charge courtesy service to all Gripp, Inc. customers. Gripp, Inc. provides turn-key, custom designed installations that take into account site specific characteristics. 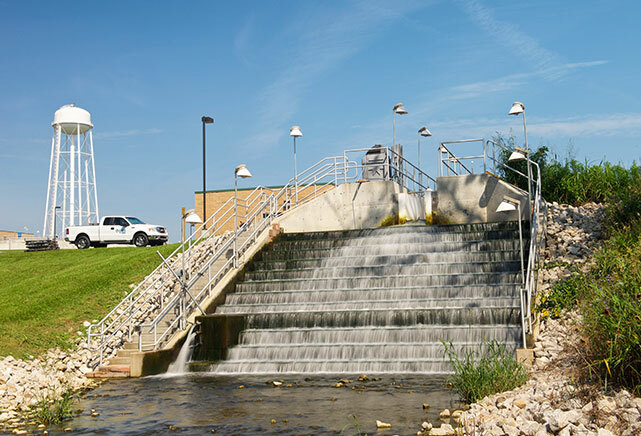 We use our extensive product knowledge along with flow stream profiling, to provide the proper primary flow structure and flow technology selection. 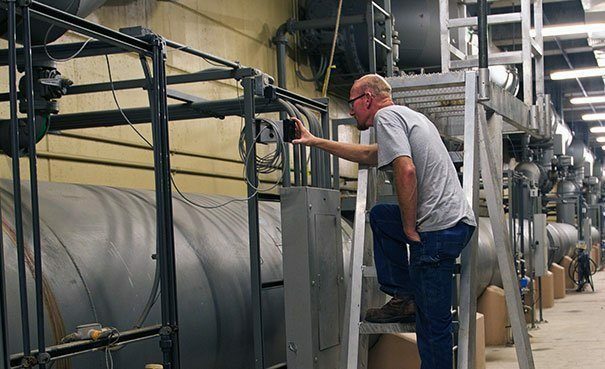 By doing so, we are able to insure optimized flow and sampling systems that result in reliable, accurate and low maintenance systems. A good preventative maintenance program starts with proper installation. Gripp’s field service team can provide both. 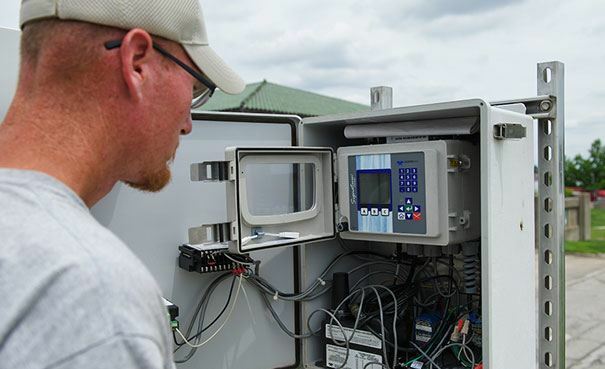 A recommended preventative maintenance schedule will ensure uninterrupted critical flow data. We maintain an inventory of rugged Teledyne Isco 2100 series flow modules and modems for use in flow studies. We have the experience and knowledge to help you select the optimal monitoring sites. Our fully equipped service vans enable us to properly and safely install our equipment where needed. The vans include equipment for confined space entry, as well as tools for fabricating custom mounting brackets and hangers on site. 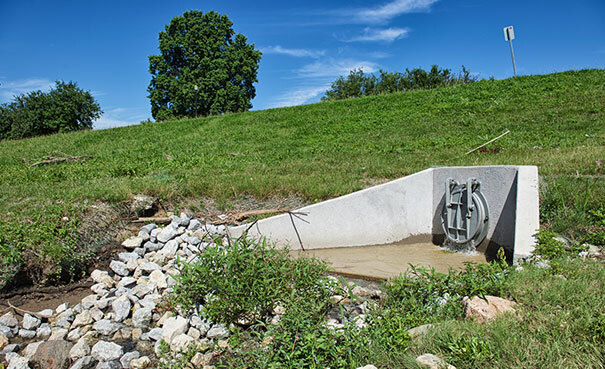 By monitoring flow study sites online, we also are able to quickly respond and fix any problems that may come up. 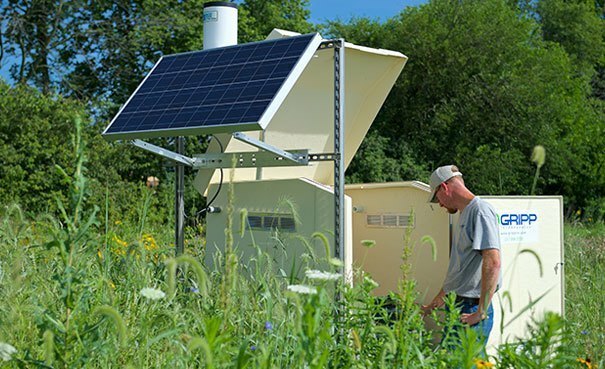 Our wireless 24/7 data service can be a key part of your CSO Stormwater and Collection System monitoring. 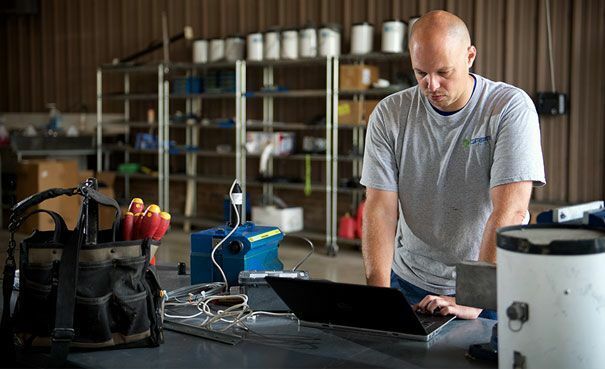 With reliable, accurate data, you will be able to make decisions about your system, and we will provide maintenance to any sites in need of service. Being able to view battery voltage, make remote programing changes, and use remote data retrieval saves labor and promotes safety as it relates to less visits in high traffic areas. The capability to monitor multiple parameters including temperature, velocity strength, and spectrum provides excellent data validation.